Woven Wire Deer Fence - keep deer and other unwanted animals out of crops, orchards and yards. 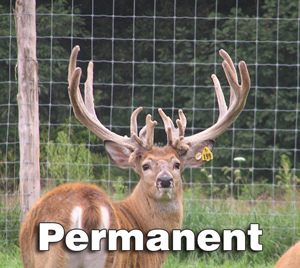 Woven Wire Deer Fence (6" spacing)- designed specifically for deer breeders to keep prized deer safely contained. 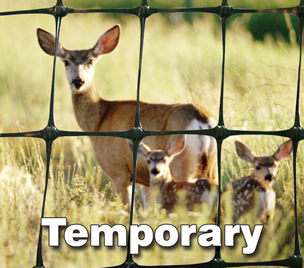 Plastic Deer Net - primarily used for temporary exclusion fence; sometimes used in conjunction with an electric wire.